Earlier this month, Ed Sheeran fans rushed onto Ticketmaster’s website to claim their tickets to his heavily anticipated ‘÷’ concert tour. As customers scrambled to purchase tickets online, those with disabilities were directed to, instead, use a dedicated accessibility phone line. This phone line led to many fans continuously be placed on hold, with some even forced to wait up to 7 hours for a representative to even answer the call. In an interview with The Telegraph, one customer recalls an experience in which she was forced to call the accessibility phone line 300 times before she was able to actually speak to an operator to purchase tickets. Due to an inefficient solution, the difficulty faced by these users highlights an inadvertent discrimination against fans with disabilities. It also speaks to the importance of creating great experiences for disabled users proactively, and not just following a slew of media and customer backlash. Globally, it is estimated that about 85% of websites are still not fully accessible for digital users living with disabilities. Customers with disabilities control $8 trillion in spending power worldwide, yet are often challenged or entirely unable to browse, shop or complete tasks online. A lack of accessible digital platforms is not only a costly mistake for your business, but an act of discrimination against a sizable portion of your audience. 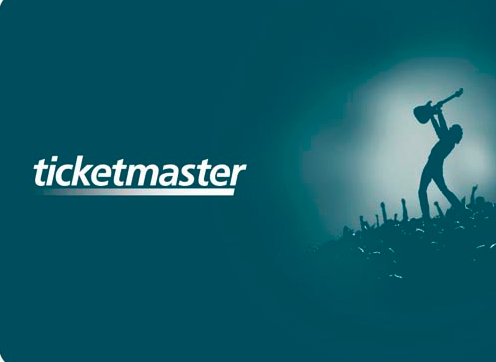 In the case of Ed Sheeran’s ticket sales, Ticketmaster created an accessibility phone line to support customers with disabilities, but instead caused more distress and challenges for those with a physical impairment looking to purchase tickets. It also forced customers with disabilities to take an alternate route to purchase, rather than the digital one that is always made usable, fast, and convenient for their non-disabled peers. Even in an increasingly digital world, users with disabilities were barred from accessing and using their channel of choice because web accessibility strategies were not proactively put in place to provide them equal access. Public spaces, shopping centers – and now websites – have begun to address issues of accessibility for those with disabilities. With 1 in 5 Americans and 12 million people in the UK living with disabilities, the issue of accessibility is crucial for brands across the globe and across all industries. As of 2016, nearly 250 brands have been sued for failing to meet web accessibility standards. Countless others have lost customers to an inaccessible site or one that is too difficult for users with disabilities to navigate. Wide media coverage of Ticketmaster’s web accessibility flub speaks to the growing imperative around digital accessibility, but also serves as a cautionary tale for brands who are taking the “wait and see” approach to accessibility. There is a good chance that your business cannot afford to act once legal repercussions are on the horizon. Customers will have already been frustrated, disappointed, and possibly lost for good. This is not only bad business, but unacceptable and discriminatory customer service. Web accessibilities must be proactive, and acted upon as a recognized social responsibility rather than a potential legal risk. Waiting to build out a reactive web accessibility strategy following a legal or PR nightmare exacerbates the problem, and can cost businesses exponentially more revenue, as well as more customers. Rather than watch as other brands are served with the consequences of digital discrimination and inaccessibility, get started now, be prepared, and create a digital experience that allows equal access for all. For help assessing how usable and accessible your website or app is today, use our Web Accessibility Checker, or contact us at accessibility@usablenet.com for a consultation.